Are you tired of just getting by? Are you ready to stop settling for ho-hum? 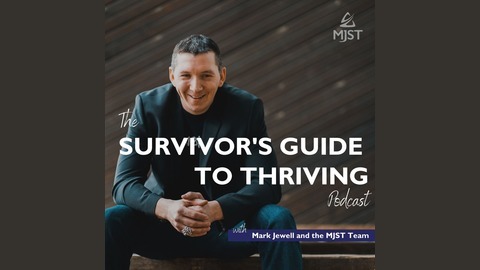 Hosted by Amanda Sollman, Mark Jewell and the team at Mark Jewell Speaking & Training (MJST), The Survivor's Guide to Thriving digs into the topics that hold us back, propel us forward and allow us to live into the best version of ourselves. 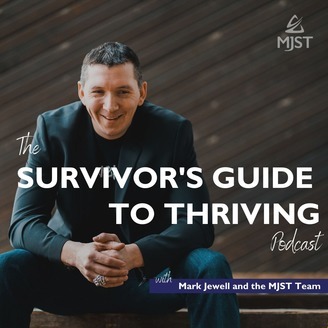 From leadership to relationships to fitness and more, The Survivor's Guide to Thriving provides the insight, perspective, feedback and advice that we all need from time to time. Because, after all – survival is dead and it's your time to #thrivetoday! Have you ever thought about meditation and gone, "Hmmm...seems kinda weird to me..."? Or have you liked the idea, but thought there was no way you could sit silent for 30 seconds – much less 10 or 15 minutes? Or do you currently meditate or pray regularly, but you're wondering how to keep growing in your practice? No matter what bucket you fall into, this episode has something for you! If nothing else, our world is chaotic. Taking the time to create space in your mind can be a powerful tool to quiet the noise – even just for a little bit. Enjoy! Like what you're hearing? Do us a favor and subscribe and review on iTunes, or your favorite podcast catcher!